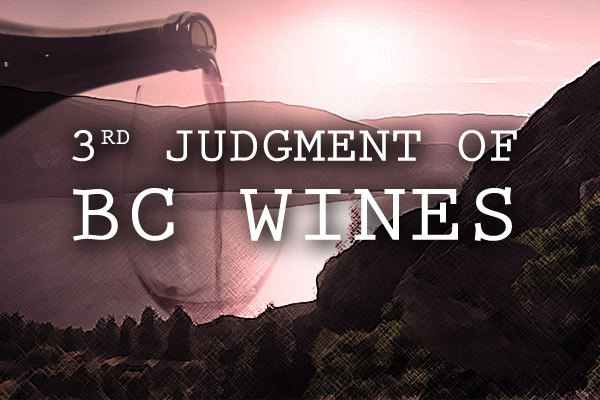 Ask Sid: Your thoughts on the winning Bordeaux Red Blends at Judgment of BC? Question: Surprised by the top 2 red “Bordeaux blends” listed on your Blog at the recent Judgment of BC wine tasting. Your thoughts on those please. 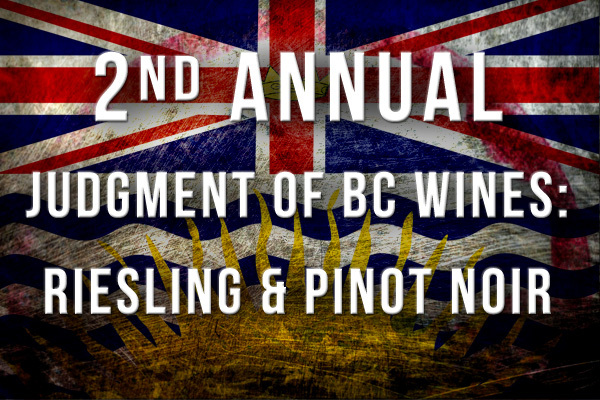 Answer: Yes quite a marketing boost for the recognition of the overall top quality of BC wines at the 4th Annual Judgment of BC. Around the world people still tend to generally think of Canada as a cold country able to make ice wines and perhaps a few lively whites. Top Bordeaux style red wines like the late Robert Mondavi would have asked “ are we making world class cabernets?” seemed unlikely even just a few years ago. Now the progress for reds helped by global warming has been remarkable. Look out for that pinot noir variety too! Pleased that 2 well established wineries both situated on the cooler Naramata Bench but using fruit from the warmer southern regions of Osoyoos showed their prowess in such a well-organized blind tasting. 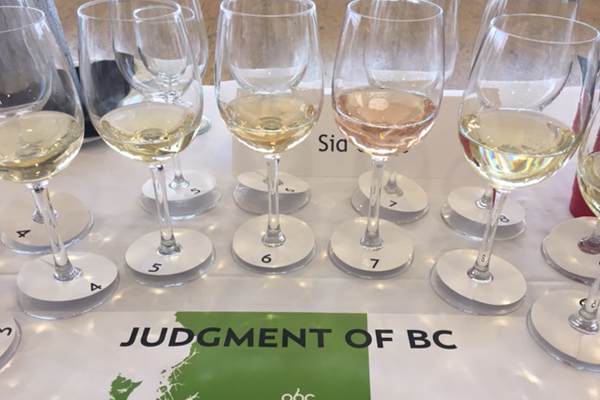 What amazed me particularly in addition to the fact that the top 2 finishers were from BC was that both were styled so very differently yet both received high voting preference by the tasters. Number 1 placed 2014 Poplar Grove Legacy is 44% cab franc (a treasured grape) with equal cab sauv & merlot (24%) plus equal malbec & petit verdot (4%) from this ever encouraging balanced top vintage. Big grape change from their 2013 Legacy when the mix was 44% less ripe cab sauv with more malbec 13% but lesser cab franc (27), merlot (13) and petit verdot (3). Your scribe liked how fresh and vibrant 2014 showed with a good future ahead of it for aging. “Bordeaux-styled” the open aromas were quite green pepper, leafy and dill focused for me as was the finish though the endemic sage character spoke admirably as distinctively Okanagan terroir. Wonderful statement. Number 2 Laughing Stock Portfolio 2015 has more ripe merlot (45%) in a similar grape mix resulting in higher alcohol (14.9) from this hotter vintage but showed so differently blind. Both are classy using French oak this one 40% new. Deep rich colour with such seductive perfumed aromas plus intense pure almost sweet cassis fruit. So stylish and balanced yet packing power with elegance. Buy this. Gave this my top ranking as #1 and guessed it might be a top smoky California wine but on reflection after disclosure – yes this is indeed another amazing impressive quality Portfolio. Pleased the knowledgeable panel of tasters liked this one too.